BeachBreakSix is just steps away from the sand in Southern San Diego. Enjoy our brand new, upscale, “Build it Green” contemporary condo -- complete with all the comforts of home. Located on Seacoast Drive, directly across from the iconic Imperial Beach Pier. Come and watch the waves, check out the Coronado Islands, and create photographic memories of the San Diego skyline. BeachBreakSix is where the city meets the beach. Come out and relax in style! With endless ocean views from the living room, deck and master bedroom, BeachBreakSix brings the vacation to you. 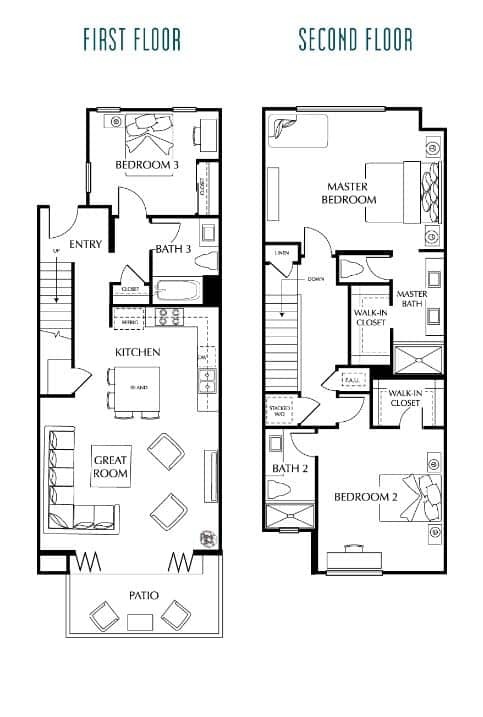 On the top floor, the 1st and 2nd master bedrooms provide Cal King beds with ensuite bathrooms. On the bottom floor, the 3rd bedroom has a queen bed with an adjacent full bath. We provide an extra queen bed to easily accommodate 8 guests. Be at ease with a well stocked kitchen, Keurig Machine, 4 flat screen TVs, high-speed internet, original artwork, beach toys and boogie boards, and 2 secured parking spaces. Embrace the casual at the bar on our spacious outdoor deck and enjoy awesome sunsets while dining with family and friends. Walk across the street to the oceans, fish off the pier, join a pick up game of basketball or beach volleyball, play at the kid's park or stroll down the street to the many restaurants. Nurture your spirit with a homemade pretzel from Par Amour, grab your mat for yoga class and stroll through the festive Farmer's Market on Fridays. Imperial Beach is one of Southern California's last remaining "kick back" beach communities. This undiscovered beach town lies just south of Coronado Island and the Silver Strand Beach. IB has so much to offer; both casual and upscale local restaurants, bars and en surf school for the kids. IB is home to the annual Sandcastle Competition, the Surf Town Triathlon and regular outdoor concerts. The Tijuana Estuary is just south of Imperial Beach and is home to over 370 species of birds. Walk between the colorful surfboards that make up "Surfhenge" and find yourself in front of one of San Diego's prime surf spots or walk along the Imperial Beach Pier.